At the Jackpot Mobile Casino, we treat every new player royally. They are rewarded with a welcome gift of £5 is on these games shamrock N Roll, Mayan Marvels and Candy Swap. As a joining gift for to our mobile casino, you will have this free cash to try out any of the mobile games for free. Yes, for free. There is no catch involved. You can check our varied mobile games such as Roulette, Mobile Slots and Blackjack. Only when you are comfortable with playing at our casino, you should open an account and make a first deposit with us. There is no obligation on your part to make a real money deposit into your account. The mobile slots no deposit bonus allows you try your luck in playing the fun filled slot games at the Jackpot Mobile Casino. Some of the slots no deposit available at the enchanting mobile casino are Medusa, An evening with Holly Madison, Psycho, Mayan Marvels etc. The free slots no deposit option allows players to enjoy the gaming experience anywhere on the move with their hand held devices. Jackpot Mobile Casino has managed to make a mark for itself, even though it is a relatively new casino brand. The huge assortment of online games and the customer friendly casino environment has made this online mobile casino no deposit bonus, a popular casino among the players. Apart from slots, the spectacular mobile casino free bonus no deposit also offers casino favorites such as Blackjack and Roulette. 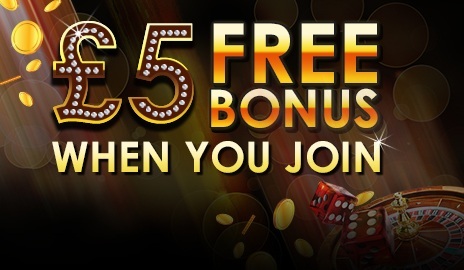 Using the casino no deposit bonus option at Jackpot Mobile Casino, people can also try out the simple, yet well rewarding Scratch Card games like Foxin Wins Scratch, Medusa and Merlin’s Millions. The seductive Medusa, the rich Fox and the wizard Merlin ensure that every player is entertained by using the no deposit casino bonus. The flawless gaming experience on every platform of mobile phone and the brilliant promotional offers, make this no deposit bonus UK a top notch gaming destination. With nothing to lose, this is one of the best mobile casino promotion offered to all the new players. It can take up to 10min for the no deposit bonus to be credited. Wagers on Blackjack or Roulette do not contribute to the reduction of the wagering requirement of bonus balances. New players only. Max conversion £20.Selected slots only. SMS validation required.No deposit required. 100x wagering. T&Cs apply.